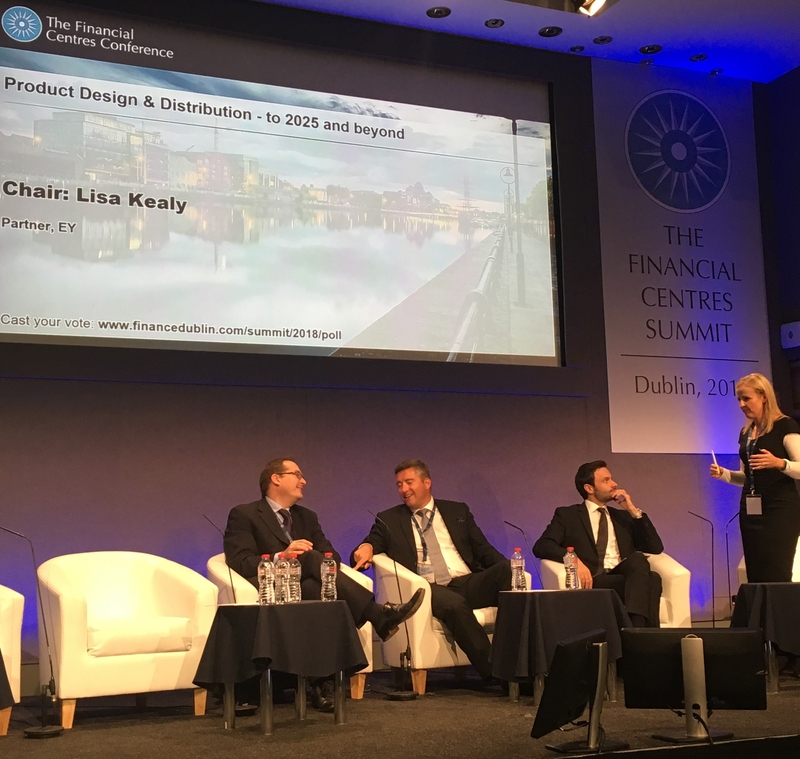 EY Financial Services was a gold sponsor of the recent Financial Centres Summit which took place in the august surroundings of Dublin Castle on October 2nd and 3rd. The big issues in financial services and aviation finance were discussed over the course of the two-day event, with everything from Brexit to blockchain and funds to fintechs on the agenda. The conference was an opportunity for the 350 delegates to take time out from the day to day and focus on the bigger picture for the financial services industry and the outlook for key financial centres. 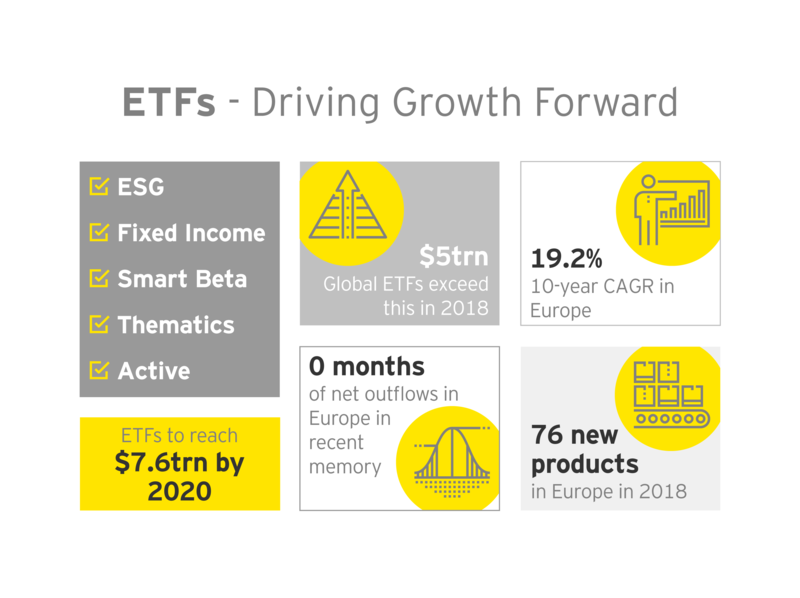 Lisa Kealy, EY’s Irish Wealth and Asset Management leader (pictured above), gave an update on the future duration of the industry, product innovations and distribution challenges and opportunities before chairing a panel on Product Design and Distribution – to 2025 and beyond. 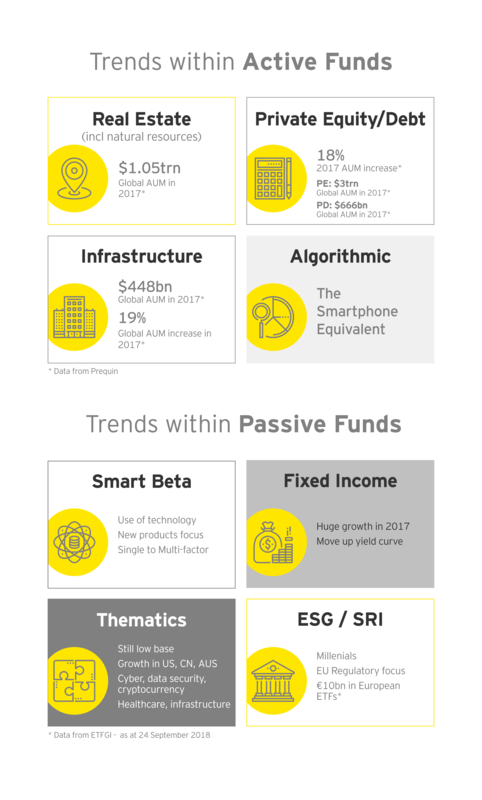 She provided an insightful overview including key trends in active and passive funds, which you can see at a glance in our infographic. 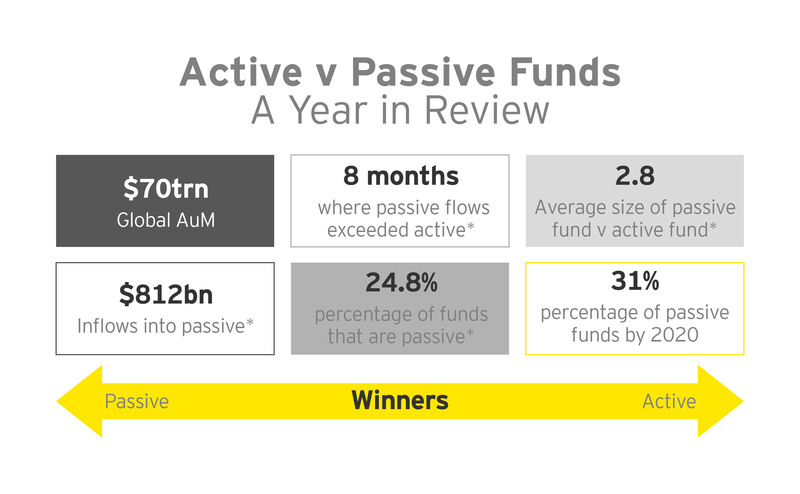 Moving from product to distribution, Lisa said: “No conversation about distribution can be started without mentioning ETFs, which are another distribution channel for investment funds.” While ETFs have seen stellar growth (see key stats below), Lisa cautioned that not every fund will be suitable with non-liquid asset classes – such as infrastructure, mortgages, loans, real estate – better suited to MFs. She concluded that the industry can only continue to grow by innovating in both product type and distribution, and using regulation that is perfectly positioned to encourage cheaper products. Ultimately, she said, “industry needs to respond to investor demands when designing the products they launch, how they distribute the products, how they price products and how they respond to regulation”. Fergus McNally (far left, below) spoke about how asset managers are thinking about Brexit. “For asset managers, what’s critical is being able to navigate Brexit, with as little disruption on their businesses as possible and ultimately to ensure they can continue to market and distribute their fund products across the EU, post March 2019”, he said. Explore his insights on the topic here. Fergus, EY’s Hedge Funds & AIFMD Solutions Leader, also took part in a lively discussion with fellow panellists: Dan Gallagher, Former Commissioner, Securities & Exchange Commission, USA; Gareth Murphy, Chief Risk Officer, Standard Life Aberdeen; Matheson partner, Tara Doyle, and Ian Headon, Senior Vice President with Northern Trust. 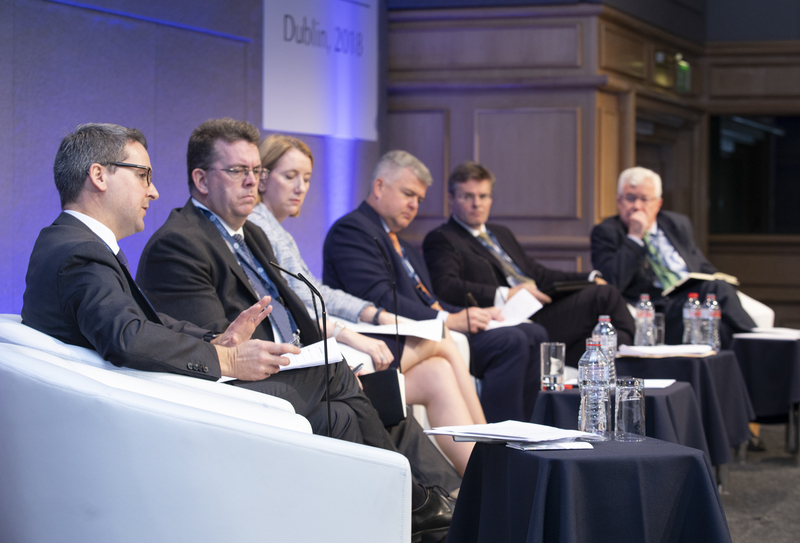 Chaired by Willie Slattery, CEO, DST Financial Services, the topic was Regulatory Frameworks in Asset Management & Funds; Distribution and Marketing Challenges in a post Brexit World. 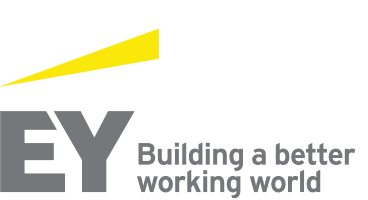 EY Director Ian Meadows presented at a Blockchain masterclass on Insurwave, the world’s first marine insurance blockchain platform developed by EY, Guardtime and industry participants. Insurwav, which is now in commercial use, will support more than half a million automated ledger transactions and help manage risk for more than 1,000 commercial vessels in its first year. The masterclass was moderated by Prof Michael Mainelli, chairman of Z-Yen, publisher of the influential Global Financial Centres Index. Partner Simon MacAllister chaired a panel on airline fleet financing strategies: own v lease, joined by Mark O’Kelly, Group CFO of ASL Aviation, and Kieran O’Keefe, MD and Head of Aviation Financial Consultancy with DVB Bank in London. He commented that while ownership has its advantages, the growth in leasing certainly suggests a preference in the market. The number of leased aircraft has increased by circa 6,000 from 1997 to 2017, roughly doubling its share compared to traditional ownership. Associate partner Petrina Smyth also spoke at the aviation finance conference, delivering a strong tax driven session, focusing on the differences between the major jurisdictions. If you would like to explore any of these topics in greater detail, don’t hesitate to reach out to us.